My Giveaway Bonanza continues with a rather fabulous seasonal selection from Asda. 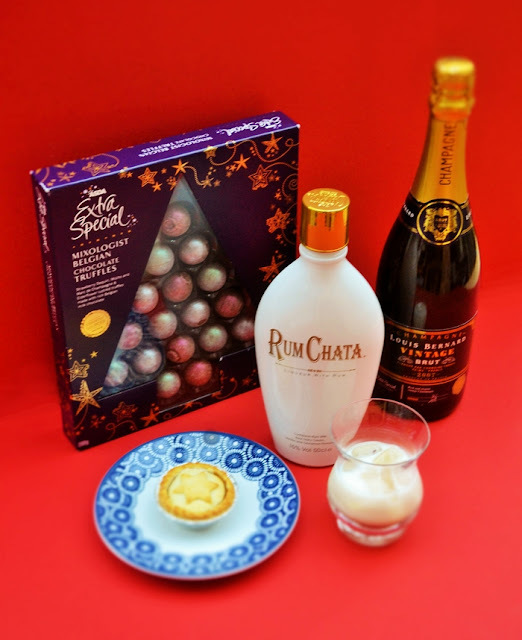 A box of Asda Extra Special Mixologist Belgian Chocolate Truffles, a bottle of Rum Chata and a bottle of bottle of Louis Bernard Champagne, all to help one lucky reader to celebrate this festive season. 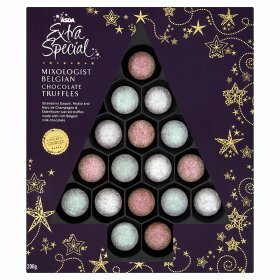 Strawberry Daquiri, Mojito and Marc de Champagne & Elderflower lustred truffles made with rich Belgian milk chocolate. Creamy truffles with a white chocolate centre and a hint of cocktail flavours. Pop into a pretty bowl to tempt your guests. A creamy liqueur a bit like Bailey's but with more of a kick. It's creamy white and made with smooth Caribbean rum and warming spiced. Serve it with ice, add it to cocktails, or pour some into coffee or into hot chocolate for an extra special treat. Suitable for vegetarians. 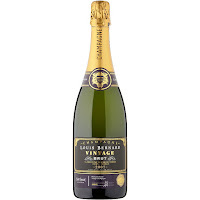 Vintage Champagne is made from the grapes from one exceptionally good year. 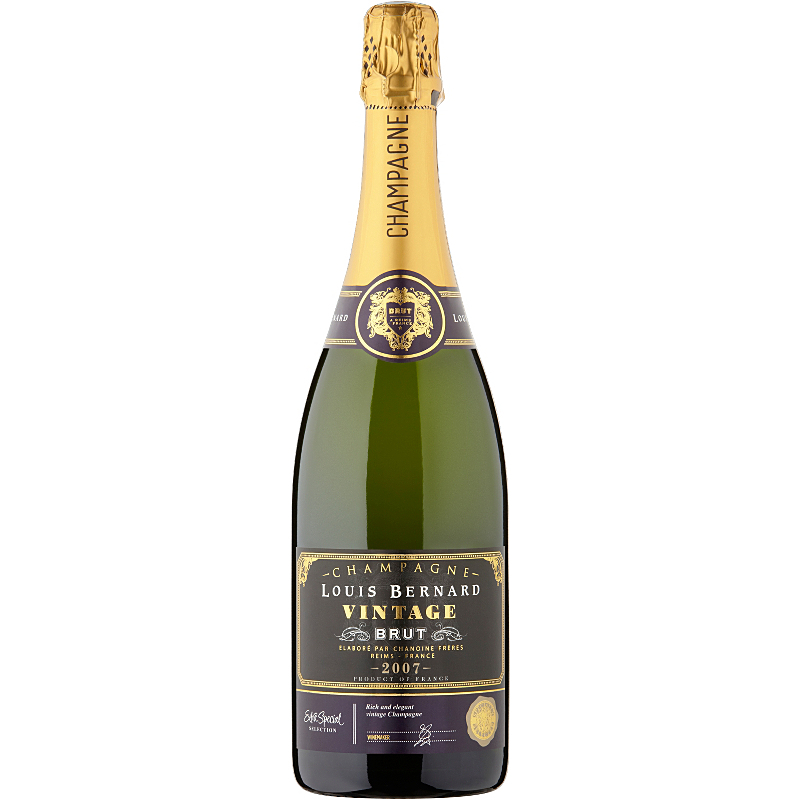 This Champagne has spent at least five years maturing in cool, quiet cellars and the result is rich, elegant and very fine. Perfect for any special occasion. WOULD YOU LIKE TO WIN THIS FESTIVE SELECTION? Leave me a comment, then enter via the rafflecopter widget below. 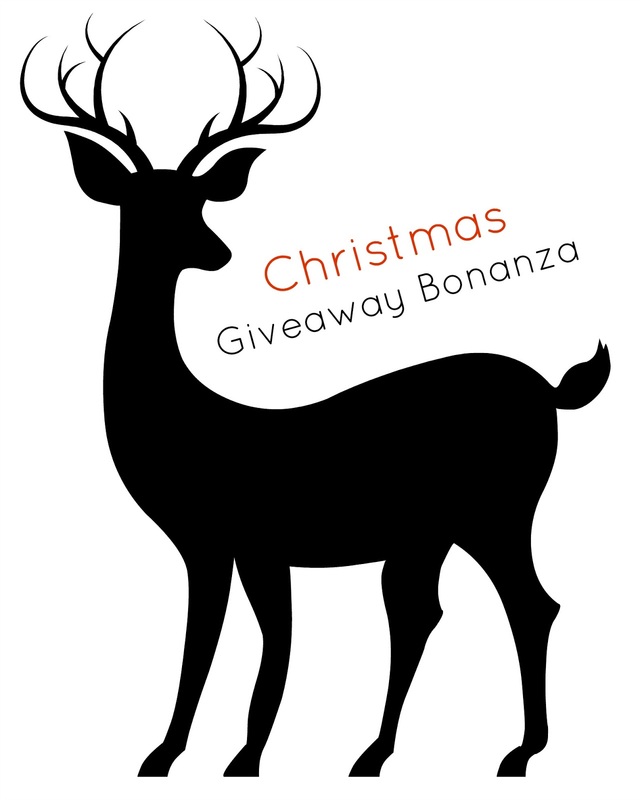 This giveaway closes on 22 December 2015 and is open to readers resident in the UK who are 18 and over. ps check out my other festive giveaways, you'll find links on my sidebar. Yum! I love this time of year for all the decadent treats in the supermarket! Can you make a cocktail from those ingredients? we're having a cocktail party for NYE. I like the sound of the the Rumchata to make something a little different. I've never heard of Rum Chata Liqueur before but I love Baileys. Will definitely be keeping my eyes open for it. 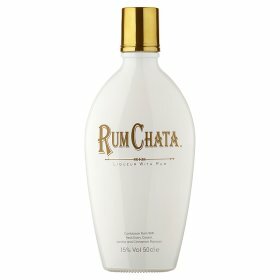 I have never heard of Rum Chata before, it sounds quite nice. aw these truffles look awesome! Wow, This would make Christmas go with a bang - what a brilliant selection!!!! Wow would love to try the Rum Chata, thank you for the giveaway! Rum Chata Liqueur sounds lovely!! Great giveaway - really love the bubbly. The rum chata sounds good - merry Christmas! Nice prize, but it's a shame you don't often find dark Belgian chocolates which I think are better than the milk variety. The Rum Chata sounds rather lovely. I'm making the Marinaded Mozzarella and Moroccan Parcels from your recipes over Christmas along with what feels like dozens of other things so I'd probably do well to be marinaded in Rum Chata myself to get through it! I hope you have a Merry Christmas. That Rum Chata sounds really good, think I'll have to try that. Sounds good to me "a bit like Bailey's but with more of a kick", just what I need! Rum Chata sounds great. I'll have to check it out. These look amazing! Big fingers crossed!! Yummy. I love chocolate and I love champagne. Lovely prize - love the sound of the Rum Chata! Saw it in Asda last week! Wow, this looks like a lovely treat for a night in! fab combo. I have never tried the Rum Chata Liqueur - it sounds festive. Lovely giveaway. The Rum Chata sounds interesting. What a superb little evening get together that would make!! Winning or not, it looks like I will need to procure a bottle of that Rum Chata - mmmmmm!!! Alcohol infused truffles are my favourites! What a lovely combination - thank you. Yum would love to win! Love the panda on your christmas tree! where did you get him?! Super blog and wonderful prize! Happy Christmas. Lovely prize. Good luck all! Perfect for an indulgent evening with friends! This is asuch a great festive giveaway! Hope you have a merry Christmas! Lovely giveaway. The rum sounds delicious. Thanks for a fab giveaway! I've never heard of Rum Chata but it sounds interesting. The Rum Chata Liqueur sounds lovely. It was the phrase 'a bit of a kick' that really sold it to me. Looks a lovely treat! Merry Christmas! Ooh the Rum Chata sounds gorgeous! An awesome festive treat that'll happily put bums on seats!